Guitar amps are heavy and bulky and my wife really doesn't want to see one just hanging out in the living room. 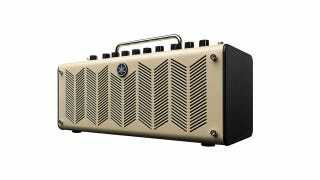 But, she hasn't seen the stylish Yamaha THR10 practice amp. Living in an apartment means that the only time I get to use my tube amp is at a practice space. Turning the volume down on the amp loses the warmth and tone of the notes. The THR10 not only recreates the throaty sounds of a tube amp. It does so at a volume level that won't have the neighbors calling the cops on you.